OaksBark’s Intergenerational animation projects are designed to bring the older and younger people of a community together. These projects usually have a local heritage or environmental theme and a strong storytelling and oral history input. 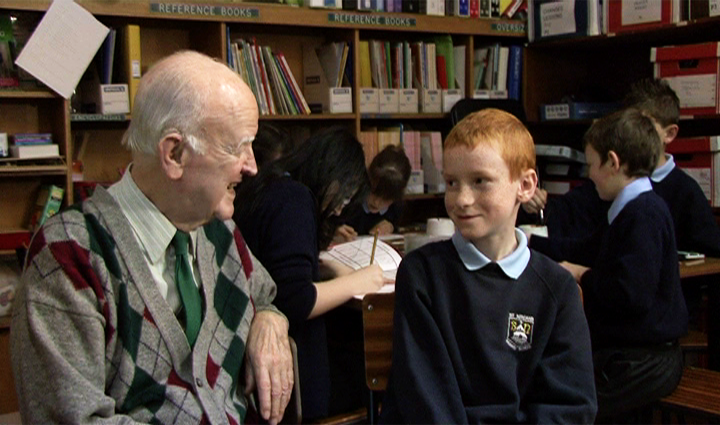 During the workshops the children listen to stories, leyends and historical facts from the older generation, who are invited to come and speak to them. Then the children make their own interpretation of these stories and compile them in a film storyboard. After this the young people draw and paint the charachters and backgrounds of their story to animate it using new technologies. Having worked in many schools in Scotland we know the importance of fitting these projects within the Curriculum for Excellence, see Stop Frame Animation and The Curriculum for Excellence Aims to find more about it. Please, get in touch if you would like to know more about Intergenerational Animations. There are some examples of Intergenerational Animations on the left column.